Asus hat mit seinem ersten Ultrabook die Messlatte hoch angelegt. Das Zenbook UX31 überzeugt mit einer hervorragenden Verarbeitung und erweist sich durchaus als würdiger Windows-Konkurrent zum MacBook Air. Potenzial zur Verbesserung besteht beim glänzenden Bildschirm und vor allem bei der Tastatur, die sich nicht für Vielschreiber eignet. Im Kapitel Design und Verarbeitung überzeugten alle, unabhängig von der unterschiedlichen Materialwahl, denn auch wenn bei Toshiba mehr Kunststoffe zum Einsatz kommen als bei der Konkurrenz, schlägt sich das nicht Negativ in der Bewertung nieder. Zweifelsohne macht Asus subjektiv mit seinem Alles-Aus-Alu-Korpus mehr her. Plus: Hochwertiges, schmuckes Design; Helles, hochauflösendes Display; Gesichtserkennung; Schnelle Arbeitsweise. Minus: Lautheit unter Last. Im deutschen Notebook-Markt, der vor allem günstige Geräte liebt, sind die Erfolgschancen für Ultrabooks nicht optimal: Das Asus UX31E kostet zwar deutlich weniger als ein hochwertiges Sub-Notebook – und auch als das Apple Macbook Air 13. Trotzdem sind rund 1000 Euro für das Einstiegs- beziehungsweise 1300 Euro für das Top-Modell des Zenbook eine Stange Geld. Das Projekt Ultrabook können wir nach dem ausführlichen Test als gelungen werten. Asus liefert mit dem UX31E ein tolles Stück Hardware, das in den meisten Bereichen überzeugt. Besonders hervorzuheben ist der stabile, schlanke und sehr wertig verarbeitete Aluminium-Korpus. Dieser ist zwar nicht ganz so schick wie das Unibody-Design des MacBook Air, kommt aber ziemlich nahe ran. 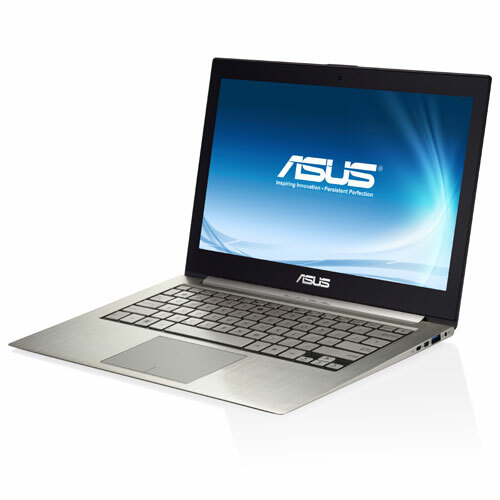 Asus’ 13in Zenbook comes very close to being the ultimate Ultrabook. It sports a nice design, solid aluminium build, superb connectivity, high-resolution screen, great keyboard and touchpad, class-leading audio and premium accessories such as the stylish sleeve – and all for under £1,000. 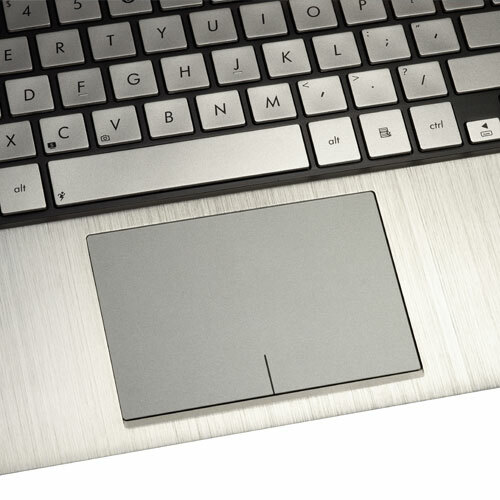 Given this, its lack of keyboard backlighting can easily be overlooked. Unfortunately, its screen’s poor viewing angles are trickier to forgive, keeping the UX31 from a Recommended Award by a kitten’s whisker. There's no doubt that the Asus Zenbook UX31 is a stylish and solid laptop that should appeal to those of you who want good performance out of a thin-and-light unit. However, we feel that it has been rushed to market and that its user friendliness suffers as a result. Its input devices are not very good, it doesn't have a backlit keyboard, we found it uncomfortable to type on and we had to fiddle with drivers to get things working properly out of the box. This is disappointing, especially considering all the hype behind this product. The bad points? I don’t like the restricted viewing angle on the display, and the case doesn’t immediately snap shut when you close it in your hands - the Zenbook just gapes back open a little unless you put it on a tabletop and press the case shut for a couple of seconds. The good points? Everything else: usability, connectivity, build quality, slimline profile and power management. 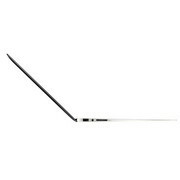 The UX31E is a cracking good Ultrabook and worth the money. 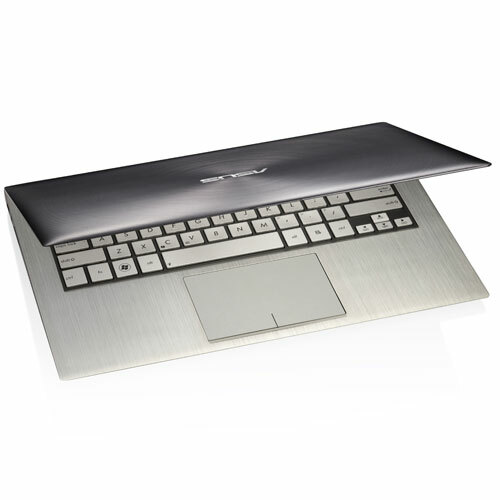 The Asus Zenbook UX31 is Asus' first foray into the ultrabook world, offering a powerful Intel Core i7 processor wrapped up in a super-slim, sturdy aluminium shell. The Asus Zenbook UX31 is incredibly slim, light and great to look at. With an Intel Core i7 processor at its heart, it packs a powerful punch and still manages to undercut Apple's MacBook Air. 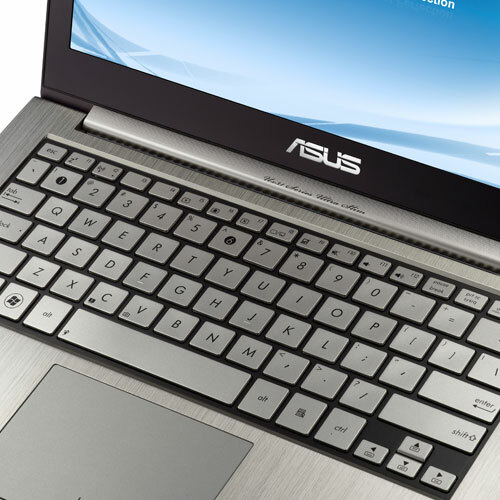 We like the Asus Zenbook UX31 quite a bit. 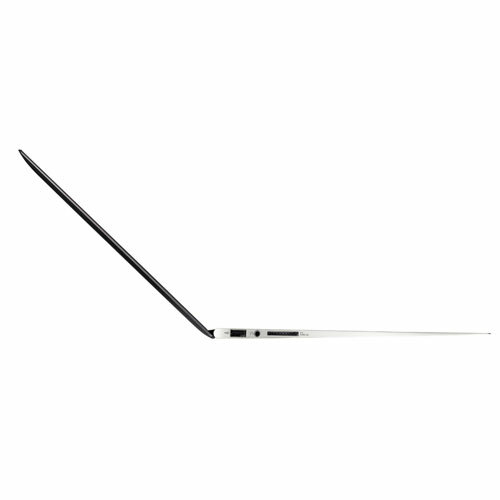 It's exquisitely thin, superbly light at 2.86 pounds, and it's gorgeous. The build quality is top notch--in fact it's one of the best made notebooks we've seen outside of Apple's store. The laptop is very fast and could work as a main machine if you're not a 3D gamer. For a 13" ultraportable it has a better than average selection of ports, and we love the HDMI and USB 3.0 ports in particular. Though most components are soldered onto the motherboard, we appreciate that it's not hard to open up the notebook to access components. We have no qualms with the keyboard though it's not our favorite, and we actually like the trackpad after updating the firmware and drivers. Lastly, the 1600 x 900 display really sets the Zenbook apart from the crowd and is more conducive to doing serious work on the go. Finally, there's a MacBook Air for Windows folks. That's not to say the Air isn't an excellent machine to run Windows, but the $200 price savings, Windows keyboard, HDMI and USB 3.0 combined with the higher resolution display are a good counter to the Air. 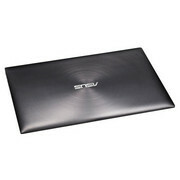 There's no doubt that the Zenbook looks and feels great and has the advantage of a high-resolution screen. It's no MacBook Air-killer though. Its battery doesn't last as long as the Air's and the keyboard and touchpad can be frustrating to use. Even if you're tied to Windows, there are better alternatives such as Toshiba's similarly price 1.5kg Portégé R830 which has far superior battery life. The Zenbook will only appeal to those that want a Windows ultraportable that looks like a MacBook Air and are willing to put up with the Zenbook's flaws to get one. While it's possible Ultrabooks from other manufacturers will do a better job, it'll be tough as the MacBook Air isn't just a collection of components but a result of tight integration between hardware and software. We'll have to wait and see. While price may preclude some from purchasing the Zenbook, we have no problem in recommending it as one of the best ultraportables we've seen. It's certainly a match for the impressive MacBook Air - and a real tonic to those who have wanted a performanceWindowsultraportable at a price point that doesn't require a remortgage. Yes, it's expensive. But it's so worth it. 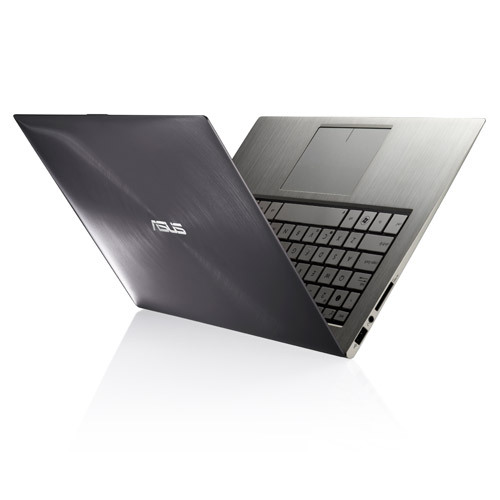 Overall we were very impressed with the Asus Zenbook. Neither power nor portability has been sacrificed and features that traditionally suffer, such as audio quality and battery life, have not been neglected. While price may preclude some from purchasing the Zenbook, we have no problem in recommending it as one of the best ultraportables we’ve seen and more than a match for the impressive Macbook Air. If you need to create content on the move and require Windows 7, the Zenbook is a good option and is definitely more useful than any tablet or hybrid. The £999 price tag is not cheap, but it's still £100 less than the 13in MacBook Air model with a Core i7 processor and 128GB SSD. However, it might be worth waiting to see whether the Zenbook is bested by Ultrabook offerings from Acer, Lenovo and Toshiba. Whether it’s these nagging design details, or the more serious flaws in its construction, the Zenbook UX31E makes some big trade-offs. There’s no doubt it gets some things emphatically right – the beauty, brawn and stamina are all worthy of praise – but it’s inconsistent in the most crucial aspects of any laptop’s design. That makes it impossible to fully recommend right now, but one thing is for sure: the battle of the Ultrabooks has only just begun. This performance chart clearly depicts Asus UX-31 to be a great performer, trailing only behind MacBook Air and way above average. 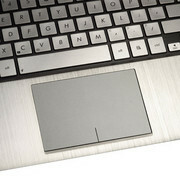 (Picture provided by Cnet). 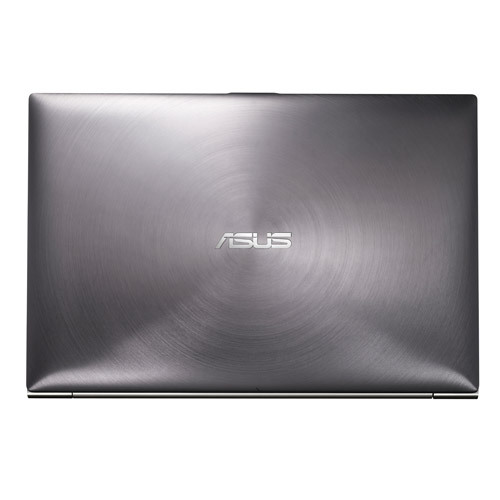 So, it seems the Asus UX-31 Zenbook is a very creditable alternative to the Macbook Air, and a better deal than the Acer Aspire S3. The Asus ZenBook has a lot of promise and it'll be interesting to see if it lives up to its stated five hour battery life. Both the UX21 and UX31 will be available on October 21st, so it's likely to beat rival ultrabooks from Acer and Toshbia to market. Even better, at £849 inc VAT for the 11in model and £949 for the 13in version, the Zenbook either matches or undercuts Apple's pricing for the MacBook Air range. We would be lying if we said we weren’t tempted. We'll bring you a full review as soon as we can. Lush to look at, the ZenBook just oozes class - which is why the price, while still placing these models into the premium bracket, came as a bit of a surprise. The 11.6in UX21 costs £849, while the 13.3in UX31 sells for £999 - coincidentally, the prices of Apple's two entry-level MacBook Air models. But spec for spec, the ZenBooks outclass their Apple competition by some margin, doubling the capacity of the SSD to 128GB and upping the processor in the £999 model to an Intel Core i7 against the Air's i5. Expensive they may be, but to those seeking the ultimate in PC style we reckon the new Asus ZenBooks are worth every penny. Check back on ITReviews soon, when we put the ZenBooks through their paces in a full lab-tested review. From our brief play with the Zenbook it looks like Asus has got a rather tasty gadget on its hands. 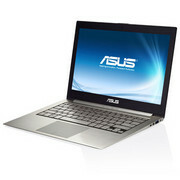 There isn't much else, short of the Samsung Series 9 which can't quite boast the looks or build of the Zenbook. Expect more when Pocket-lint gets a lengthier play with the Zenbook.